Open Now — CRAM Day Registration! 13-Week CRP/CRAM Day Also Still Open! What industry experts are saying about Martha's training . . .
Martha’s course, you can pass the exam!" Martha is the president of Bennett & Associates. She consults with the ARA as our Training Director. Martha's provided instruction on the CRP exam to global mobility professionals for 17+ years. It was her experience of studying and testing that inspired her to create the comprehensive program you will use to prepare for the exam. She attained her CRP in 1999. She's been involved in the global mobility industry for 30+ years. 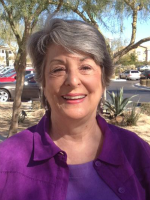 Her training programs for relocation professionals span across Arizona and throughout the United States. Martha's held relocation training positions for Prudential Real Estate and Relocation and CitiCapital Relocation. In each successive position throughout her career, she's received awards for stellar service. These accolades include Prudential's Chairman's Circle Award, CitiCapital Raving Fans Award and a customer service award from the U.S. Department of Treasury. She holds a Masters degree from Texas Women's University. Martha lives in sunny Arizona. Feel free to reach out to her and learn more about taking the certification exam. ©2016—2018 Arizona Relocation Alliance. All Rights Reserved. Arizona Relocation Alliance (ARA) is a 501(c)(6) nonprofit organization.